We aren’t here to confuse you, and we certainly aren’t going to tell you any lies. In fact, we are here to open your eyes about the waste management and recycling industry, and show you how your business could be performing better thanks to a more transparent recycling strategy. Your waste management company will never tell you these things, as it is not in their financial interest, so it falls on our lap to dish out the reality. Here are our five things that your waste management company probably won’t ever tell you. 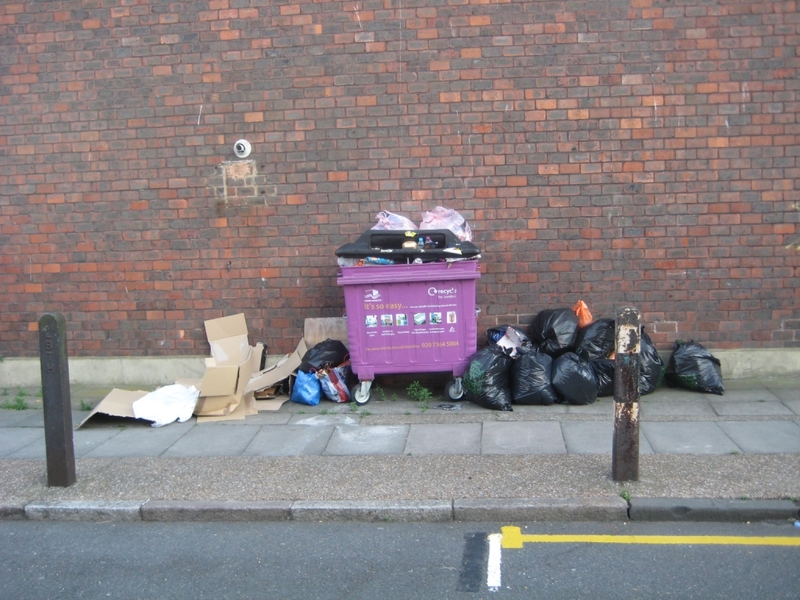 Unless you are already compacting your waste with machinery and squashing as much waste as possible into each bin, you probably have too many bins. You are paying to get rid of air if you have half-full bins emptied. Waste management companies charge their prices per bin, per uplift, so it makes no sense for them to tell you that you have too many bins. The truth is, the less bins you have, and the less frequently you need them emptied, the more money you can save on waste management costs. All of that waste in your bin is being taken to a sorting centre, where the recyclables are picked out mechanically and baled, ready to be sold. What the waste management companies won’t tell you is that if you store your recyclables, including paper, plastic and metal separately from general waste, you can sell it. To make it valuable, it would need to be baled, but to discover that you are paying to get rid of a valuable material is quite difficult to hear. Selling your recyclables could be enough to cover the costs of general waste management; imagine that! Combine the first two ‘secrets’ and you probably have already arrived at this revelation, however, it’s important we add some extra advice about segregation. Our plastic recycling experts here at Kompakt advise that you should separate plastics by material type, as each material has a different value and a mixed bale is not worth as much as a single-type bale. Keep paper and cardboard separate if you want to maximise bale values for those materials too. Now, of course we are going to say that, but really, the evidence for buying a baler speaks for itself. If you have a high waste output and are shelling out a fortune in waste management costs, you could install a baler and reduce those costs. The machines don’t only help with waste, they are great for your environmental reports, shareholder meetings and improving warehouse motivation. It has been proven that businesses who invest in machinery and technology for their employees improve motivation levels and encourage a progressive company ideology. If you follow our tips, your recycling rates will soar, and that is one surefire way to attract new customers. With a highly competitive market for most industries, having a USP or competitive edge over your competitors will win you more custom. Being a ‘green’ or ‘eco-friendly’ company is great, and is a great tool for growth, however the opposite is equally true. Avoiding being a ‘dirty’ or ‘pollutive’ business is a great way of keeping customers and is something to be proud of. A good business ideology goes a long way, and something as simply as reinventing your waste strategy can take you on leaps and bounds. Now that you’re enlightened, it’s time to find out which machine is a perfect fit, take a look at this in depth article about the KM Range.